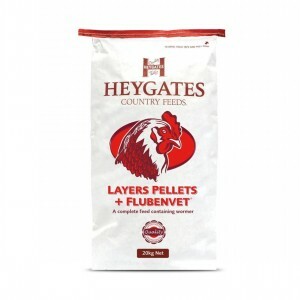 Heygates Layers Pellets With Flubenvet 20Kg. A similar ration to the Specialist Layers Pellets with Flubenvet wormer added. Flubenvet is a prescription only medicine so we will need a prescription from your vet to be able to supply the contact product, or you can buy from a qualified merchant.